It was a such an exciting work to make handmade birthday invites for my best friends- Charuthi and her husband- Deepak's son's Abhinav's 1st birthday party. Birthday Party theme was decided to be Disneyland. 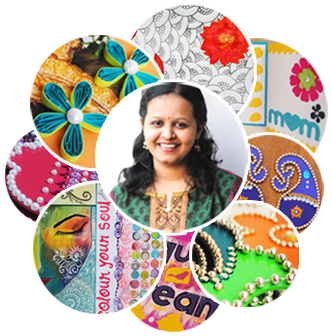 The task was to design a themed birthday invite. An invite which would appeal kids and elders, both, and which would excite people about the party and yet remain in their memories forever. 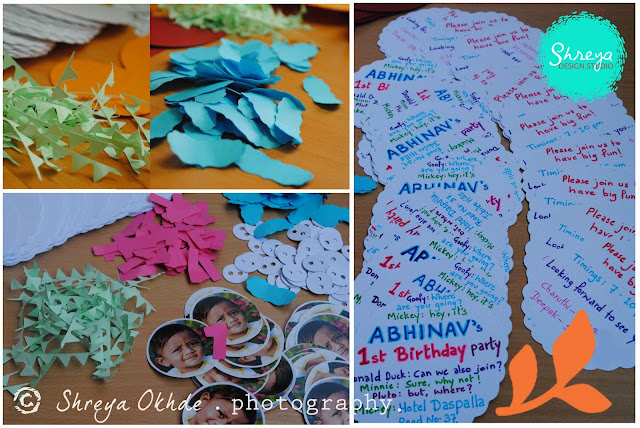 After all, Abhinav's first birthday was a big moment for Charu and for me too, as I had never made such a bulk amount of cards, which required to look all same! 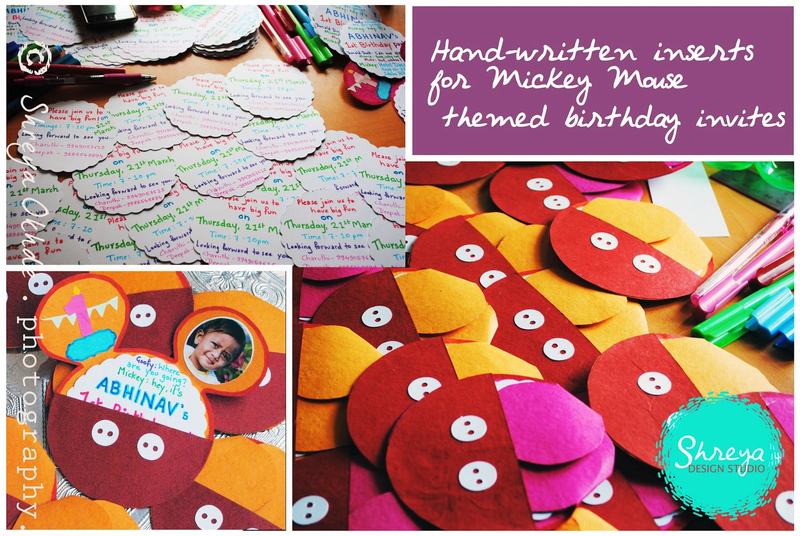 It was total fun to cut the mickey face shaped cards in two colours of handmade papers- Pink and Orange, cut Maroon handmade paper pockets, White ivory paper buttons, green buntings, blue clouds, No. 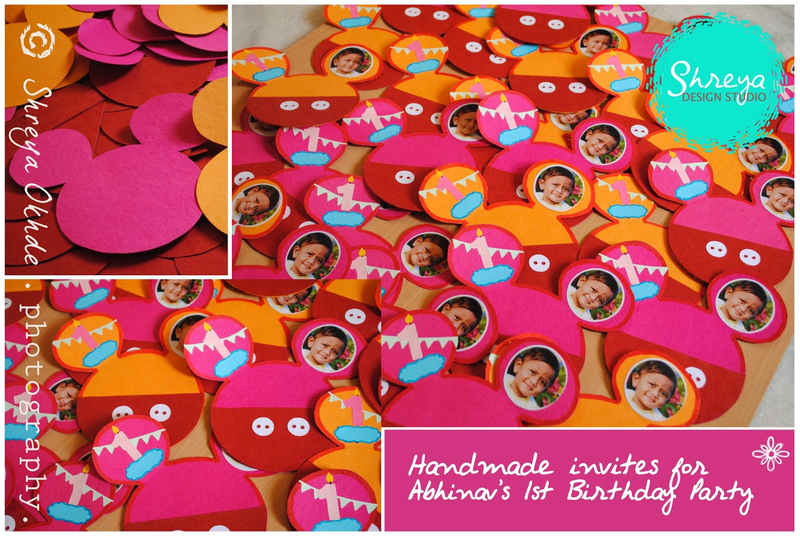 1 candles, Abhi's cute tiny photographs in roundels, White ivory paper disks for handwritten inserts and a lot more. The biggest task was to write on the inserts and try to have the same handwriting on all the cards! Shading the letters is always my favourite job. A friend and a guide, Shuba pitched in at the right time and made the dialogues even more interesting by adding the Disneyland characters to it. 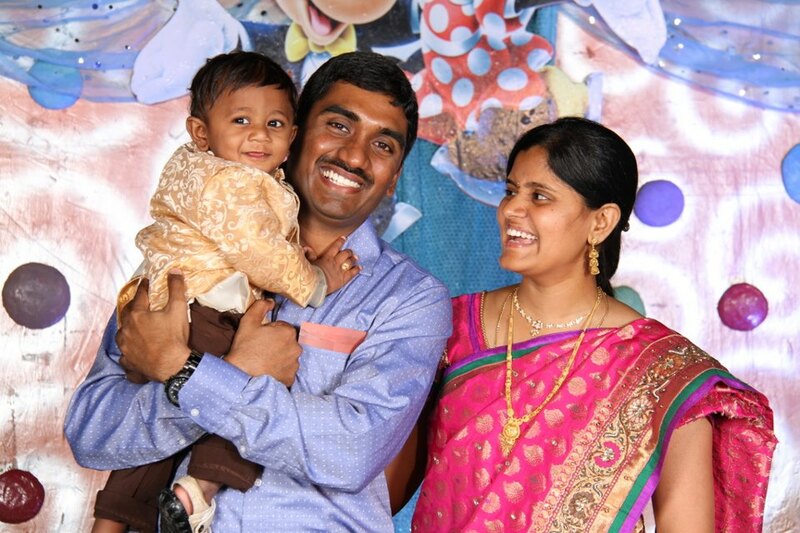 Everything was put together and the proud parents got wonderful feedback about the cards. 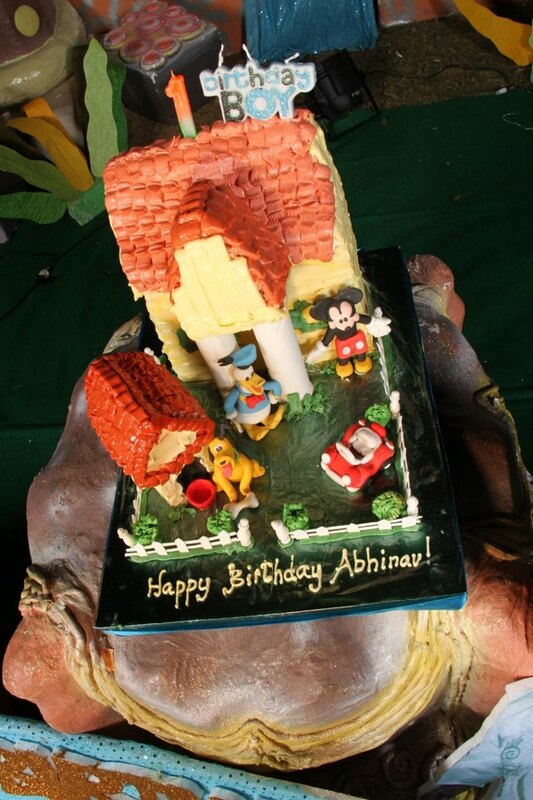 And I enjoyed the appreciation at the party which was equally a big hit, with great location, cake and food and most important the Disneyland theme came alive at the party so well. your Handmade invitations are looking so pretty.And the pockets you made from paper with cute tiny photographs is so unique. Children gets more attracted about this interesting ideas. Home is where my Mum is!